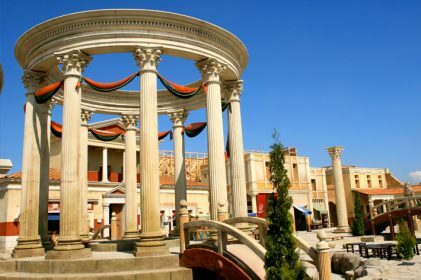 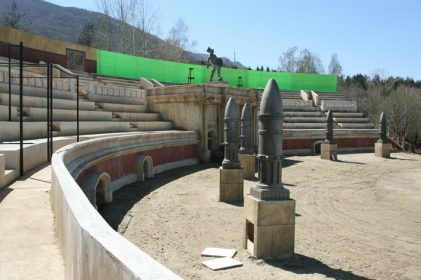 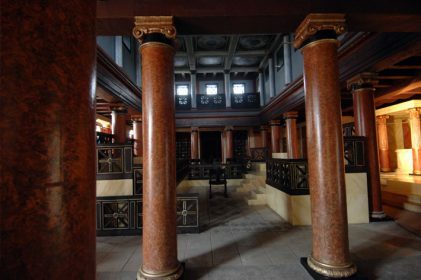 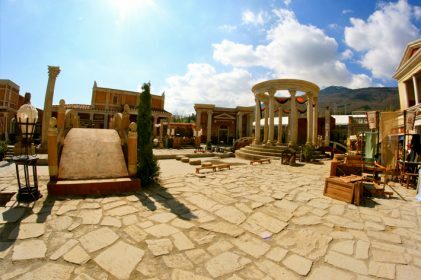 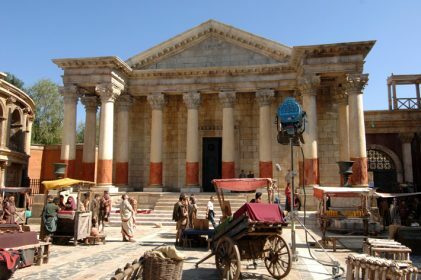 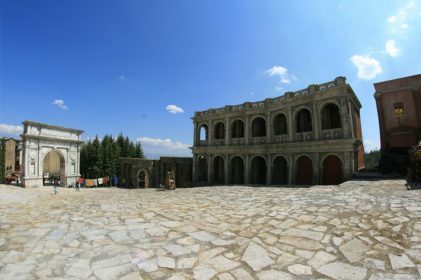 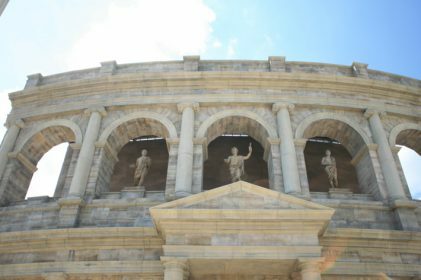 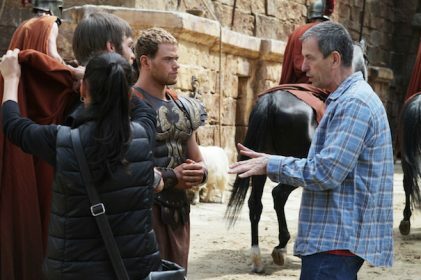 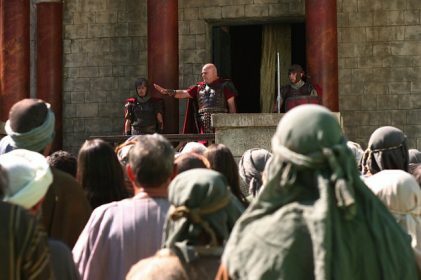 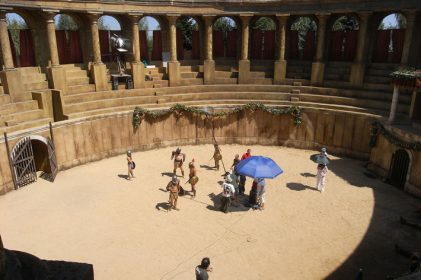 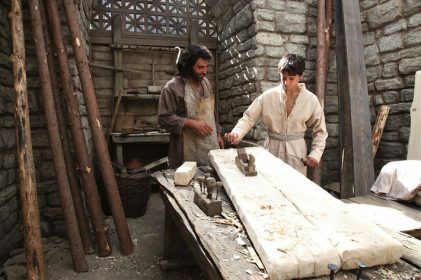 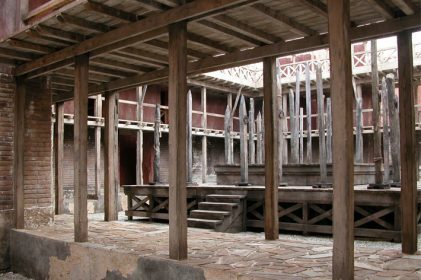 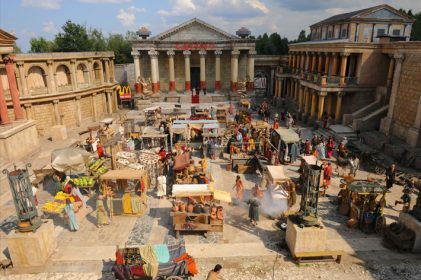 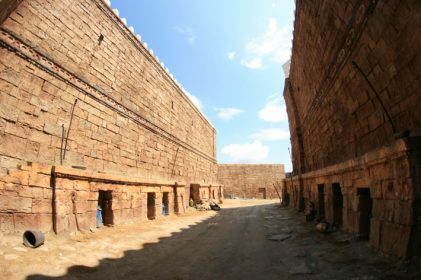 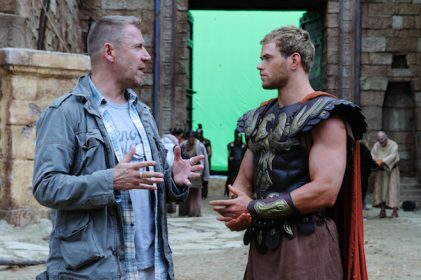 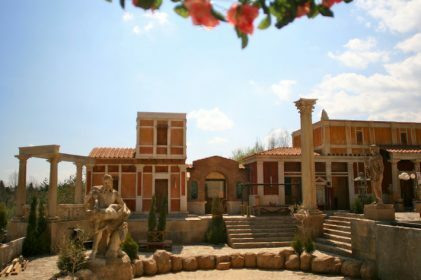 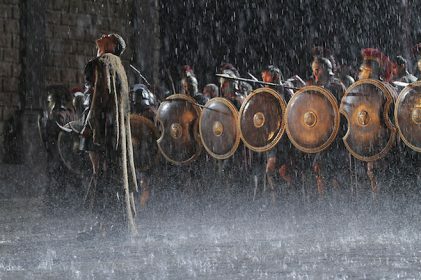 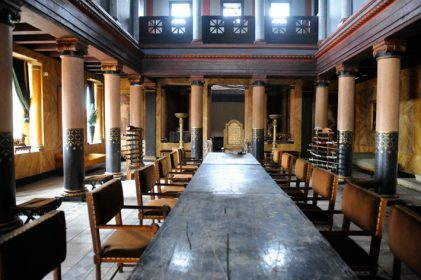 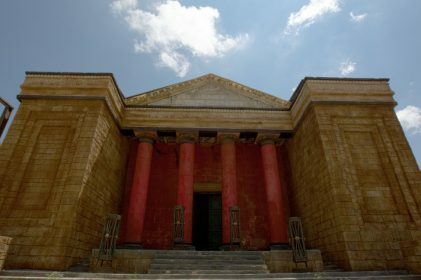 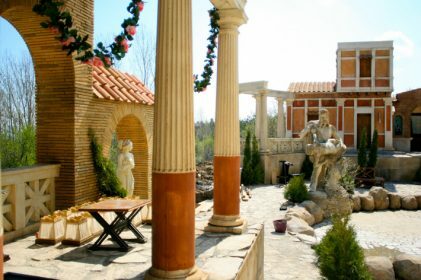 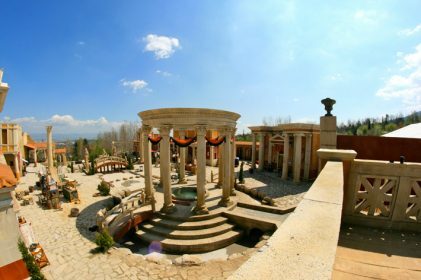 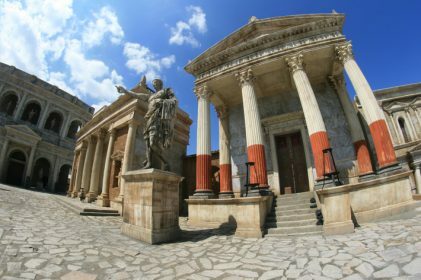 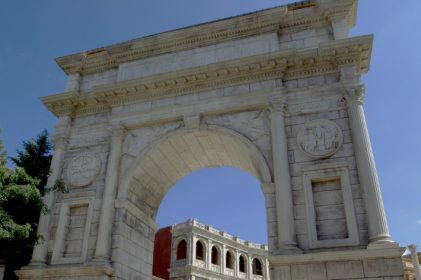 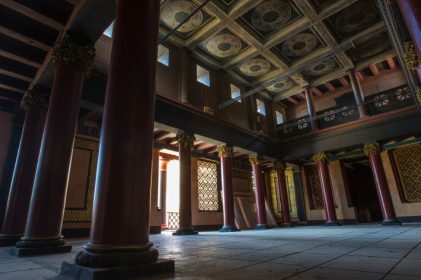 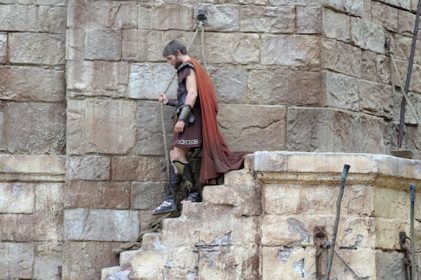 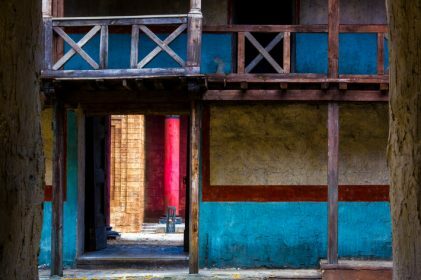 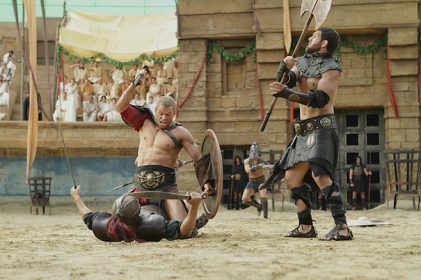 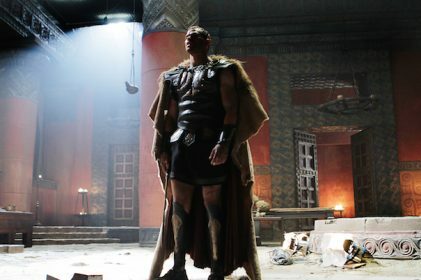 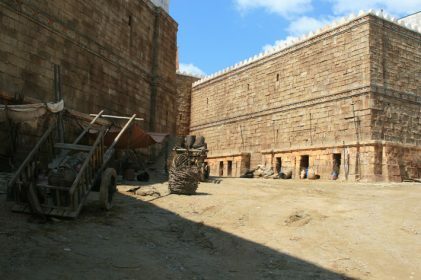 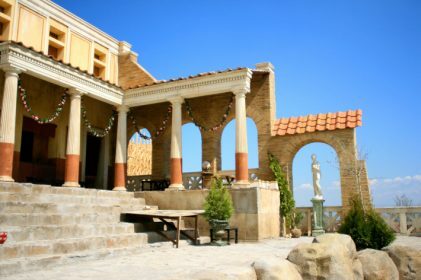 One of the biggest Roman sets in the world is already here, in Bulgaria. 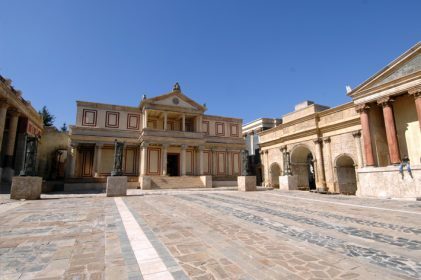 Roman streets, open Thermae with fountains, central city square, 2 coliseums, one reaching 25m high with a capacity for 5000 extras, garden, baths, villas, temples, narrow streets and alleys, open market, training quarters and a variety of practical interiors to adapt – everything is here with which to raise an Empire. 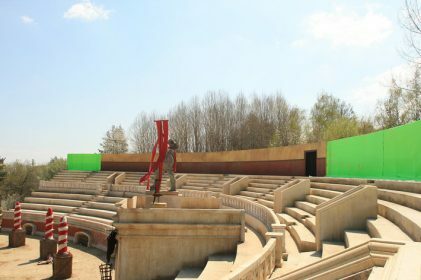 Completed in April 2013, this massive set fills 14 000 sq m. and offers a wide possibility for production needs.